I think we can all agree that hunting rhinos is a bad idea, but at least two suspected poachers learned that the hard way earlier this week. In a showcase of nature’s brutality, the BBC reports rangers at the Shibuya game reserve in South Africa stumbled on a pretty gruesome find on Tuesday: the mangled remains of at least two humans. The perpetrators? A pride of lions. 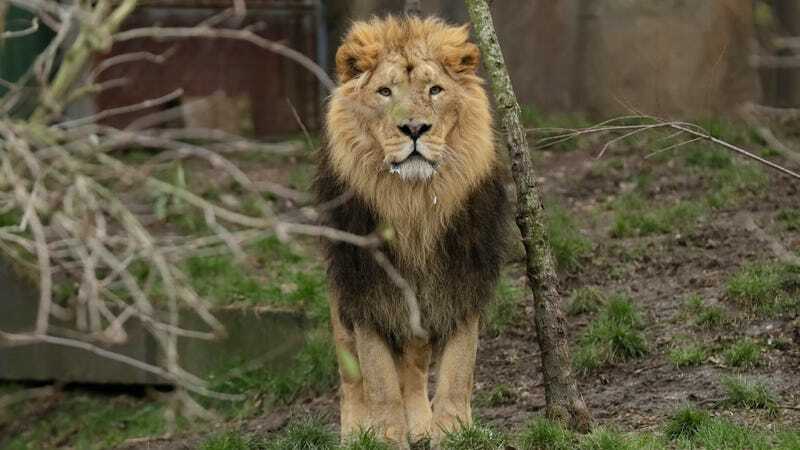 According to the BBC the attack took place in the game reserve’s lion enclosure, presumably when the suspected poachers broke into the protected area late Sunday night. They came armed with a high-powered rifle and an ax, seemingly with the intent of killing rhinos and removing their horns to sell on the black market, according to a press release shared on the reserve’s Facebook page. But after encountering a pride of six lions, their weapons weren’t much help. Some, if not all of the intruders, met their demise. Reports suggest that either two or three individuals met their demise, though just how many were attacked is still uncertain. “There’s not much left of them,” Nick Fox, the owner of the reserve, told AFP News Agency. This is a grisly reminder that rhino poaching is still a major issue. The illegal practice has spiked in recent years, as poachers try to meet high demand for rhino horns in countries like China and Vietnam. There, they are used in traditional Asian medicines, making them a valuable commodity. South Africa, which is home to over 80 percent of the world’s remaining rhinos, has seen an increase in poaching from just 13 rhinos in 2007 to 1,028 in 2017. Often, poachers will shoot rhinos with tranquilizers before hacking off their horns.